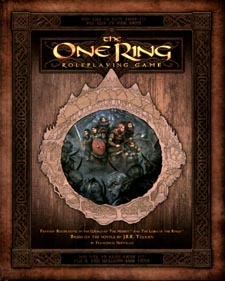 The One Ring Roleplaying Game is the newest fantasy roleplaying game set in the world of The Hobbit and The Lord of the Rings allowing you and your friends to set out on your own adventures in Middle-earth. Six ready-made characters and a complete adventure to get started right away. You need a group of players, a 12-sided dice and a handful of 6-sided dice to play!